Two Congressmen, Reps. Edward Markey (D-Mass.) and Joe Barton (R-Texas), co-chairs of the Congressional Privacy Caucus (there is such a thing?) 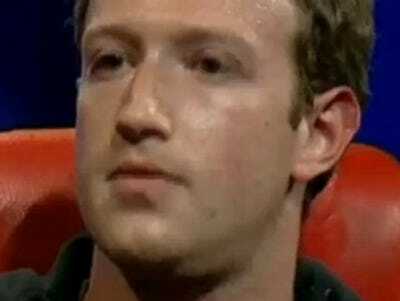 have written Facebook CEO Mark Zuckerberg a letter asking (i.e. telling) him to explain himself over the latest privacy kerfuffle. (PaidContent)This one is when Facebook decided to give advertisers access, on a strictly opt-in basis, to users’ addresses and phone numbers. After the predictable outrage, Facebook shelved the feature. We predicted that as Facebook gets bigger, it would draw more scrutiny from politicians in Washington. We’re not against this latest development, per se — the issues involved are serious and there does need to be some level of oversight of Facebook. But it’s hard not to see this as grandstanding instead of an honest effort to understand the issues involved and figure out what works best for everyone. Given that Facebook shelved the feature, we’re not sure what the problem is, here. It just all feels so predictable. Before, it was: Facebook does something, privacy advocates howl, we talk about it for a few days, and then it’s back to business as usual. Now, is it going to be: Facebook does something, privacy advocates howl, we talk about it for a few days, Congressional hearing, and then it’s back to business as usual?